This Malbec comes from Alpamanta’s vineyard in Mendoza’s Luján de Cuyo region. Certified Organic and Biodynamic, the vines are planted near Ugarteche at 950 metres above sea level. The breeze here is fresh, the sun is bright, skies are clear, and rainfall is minimal. Vines are fed by the mineral-rich alluvial soil and pure water that runs from the Andes Range. This vineyard is more than a place to grow grapes. It is very much alive. The vineyard’s best grapes were hand-harvested in small boxes, then carried to the winery. Following a cold maceration, the wine was fermented in stainless steel by indigenous yeast. Afterward, it matured ten months in French oak. The final blend saw the addition of a small quantity of Cabernet Sauvignon. Alpamanta’s wines are bottled with minimal intervention; filtering, fining, and additional sulfur are kept to a minimum. 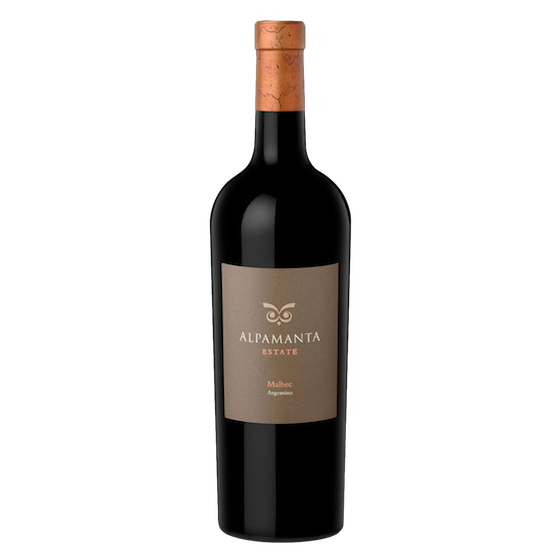 If Alpamanta’s “Natal” is a young, fresh take on Malbec, the Estate bottling is all smoky mature red fruit and gamey deep violet intensity. This is certainly a wine that impresses, elegant and balanced with soft, round tannins.